Racheal Barraclough, Service Manager at Amton Auto & Truck. She started at Amton July 2010 without a real job title. She had gone from cleaning and answering the phones to being able to run the shop herself. The best part about the job is that it is always changing and there is so much opportunity for her to grow within the company. Chris Johnson, Service Manager at Total Automotive. He loves bringing customers up to speed on modern vehicle systems and maintenance needs. Explaining the value of premium parts vs cheapest fix, making sure they get their money’s worth is one of the many customer services Chris always carry. Nick Herberger, Service Manager at Scruggs Automotive. Scruggs Automotive Repair has been providing quality car care in Williamsville, NY since 1981. It is a family owned business delivering honest and professional automotive repair and auto maintenance services to the people of Williamsville and surrounding areas. Nick started as a detailer/car wash at Dave Smith Ford before becoming a Flat Rate Tech at Firestone Complete Auto Care. He has experience as a truck tech before becoming the Shop Manager at Scruggs. Trust. Never let your priorities change. When the customer greatly appreciates the job you did for them. All service business has an image problem. Trust helps to remove the negative image issue at your shop. Communication is one of the biggest responsibilities. The SA knows they are the hub of the communication wheel: Technician, Customer, Owner. A disadvantage of being a technician who is now a service adviser is you overcomplicate things to the customer. Female service advisors are becoming the norm. The female customers are very comfortable. Owners need to support their female service adviser. A big hurdle of service advisers is to get the owner to back off and support the SA as the point person. Many legacy customers want to talk to the owner. The owner needs to pass the torch with customers. Curb appeal is so important to attract the right customer. Trusting your technician is critical to a strong relationship. Tech and SA must be on the same page. All recommendations must be real. 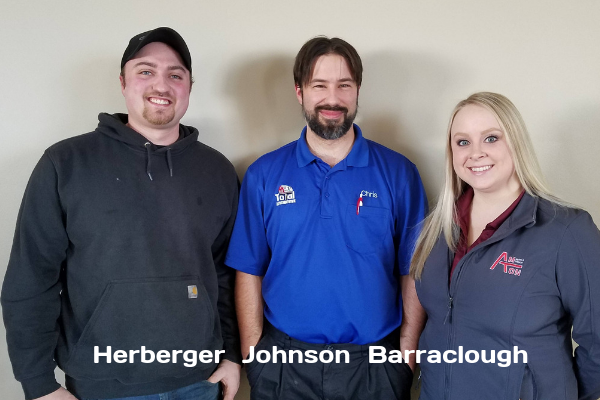 Thanks to Racheal Barraclough, Chris Johnson, and Nick Herberger for their contribution to the aftermarket’s premier podcast.